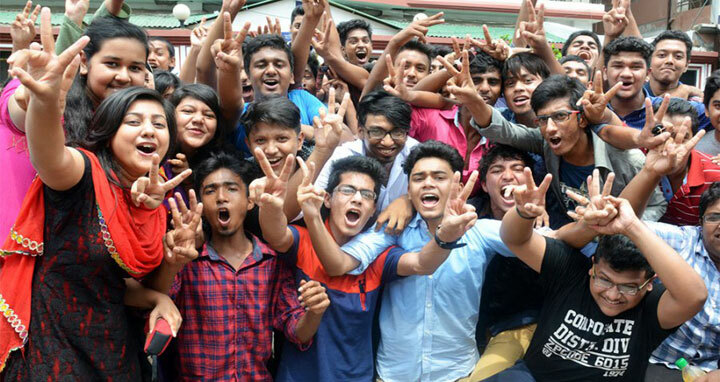 Dhaka, 6 May, Abnews: The results of this year’s Secondary School Certificate (SSC) and its equivalent examinations were published across the country on Sunday. A total of 77.77 percent students passed this year's Secondary School Certificate (SSC) and equivalent examinations. The total number of GPA-5 achievers is 1,10,629 this year, which was 1,04,761 last year. The pass percentage in the SSC examination has decreased 2.56. However, the number of GPA-5 achievers increased this year. The pass rate of Madrasa and vocational boards are 70.89 percent and 71.96 per cent respectively. Education Minister Nurul Islam Nahid handed over the copies of overall results of SSC and its equivalent examination to Prime Minister Sheikh Hasina on Sunday morning at her official residence Gonobhaban in Dhaka. The Prime Minister unveiled the result digitally, which will be available online after 2:00pm. The students can get the results from their respective school or it will also be available on www.educationboardresults.gov.bd. This year, 2,031,889 students—10,23,212 boys and 10,08,687 girls—participated in the SSC examinations.